AC Milan still have concerns over a lack of depth in their current squad, and recent injury blows haven’t helped Gennaro Gattuso. Mattia Caldara and Lucas Biglia are long-term absentees which in turn raises issues in defence and midfield respectively, while Mateo Musacchio was ruled out for up to eight weeks after sustaining a setback against Real Betis in midweek. Various other key figures have also picked up issues in recent weeks with the likes of Giacomo Bonaventura and Gonzalo Higuain missing the Europa League clash on Thursday, while Hakan Calhanoglu limped off to add further misery. In turn, it remains to be seen what line-up Gattuso is capable of putting out against Juventus on Sunday night, but with the January transfer window in mind, it’s suggested that Milan could be planning several deals to ensure that they have the quality and depth needed in the second half of the season to secure Champions League qualification. With that in mind, Sportmediaset have listed eight players currently in the thinking of the Milan hierarchy to address their issues, with Leandro Paredes, Barcelona ace Denis Suarez, Stefano Sensi and Aaron Ramsey suggested as solutions for the midfield. Looking at the defence, Medhi Benatia and Rodrigo Caio are linked, with either likely to cost up to €15m as per the report, while either Zlatan Ibrahimovic or Alexandre Pato could arrive to bolster the attacking options available to Gattuso. That’s a strong list of potential transfer targets who could all go some way in addressing the problems that Milan currently face, both with their injury crisis in mind as well as their general lack of depth to compete on multiple fronts with a fully-fit squad too. 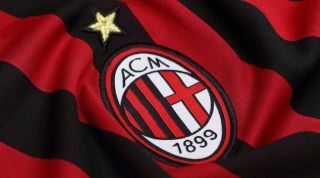 Time will tell which, if any, become viable options for January, but particularly with the defensive injuries in mind to Caldara and Musacchio, that could become the priority for the Rossoneri.